So many sales people are now connecting in business through social platforms like LinkedIn. Sales people who really want to build strong pipelines and avoid complete cold calling should consider social platforms and utilise connections within those social platforms to introduce them to future prospective clients. There is also a tool now being introduced by LinkedIn called the Sales Navigator tool. An article according to Mashable says that sales people with social selling strategies are 51 percent more likely to beat a quota, partially by eliminating the need for cold calls and other traditional tactics. Don’t just keep your slick presentations for new prospects you meet, share them on public presentation tools sites so that other potential prospects that you may not have considered come across them. One great example is SlideShare. 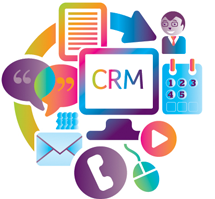 Most large sales teams are fully equipped and operate via a strong CRM tool but gone are the days that the CRM tool is only accessible on your work laptop. Sales teams need the flexibility to be able to switch between laptops, tablets and apps on their phone to access their pipeline, stats and other vital sales information. It is expected that sales teams will be equipped with the basics for communicating, i.e. mobile phone, landline, laptop with email but what else are people using now to ensure they have all the communication tools required to present themselves in a professional and progressive manner? Webinar tools have now become vital to sales reps. It doesn’t always make sense for them to be driving around the country to meet potential clients, nor does it always suit the client to meet face to face and therefore a good webinar tool provides the possibility to arrange a meeting with as close a feel as a face to face meeting. 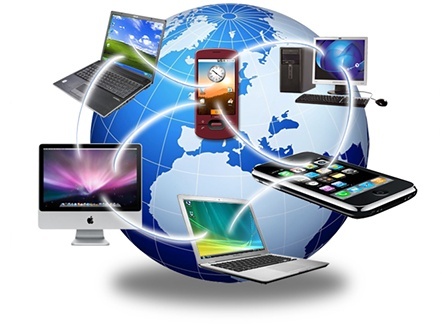 Or like a lot of international companies the sales teams are dealing with pan European clients or even further afield so a web conference facility is a must. The main benefits are the prospect can view the sales persons screen, they can have a split screen and use their webcams to see each other, input questions during the presentation without interrupting the presenters flow but ensuring the question is captured before the end of the meeting. One example of this facility is Lync by Microsoft. Another way salespeople can keep competing well is by aligning themselves with professional content creation teams that actually help attract new clients and keep existing ones engaged, from social media profiles to, videos, infographics and even e-mails. Sales teams should also realize how easy it is for them to create or event curate compelling content that draws potential buyers.